Jack Nicklaus' playing career speaks volumes. He's also been designing golf courses for over 30 years. He has course designs on six of the seven continents. In short, he knows a few things about the game. 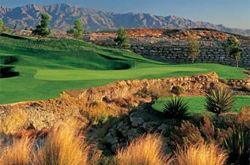 Mr. Nicklaus had one thing in mind with the concept for Bear's Best - Las Vegas. Take 18 signature holes that he's designed from throughout the region and put them together to create a golfing experience like none other. 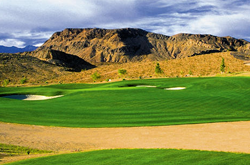 The par 72 (rating/slope: 74.0/147), 7,194 yard layout features four sets of tees, allowing all levels of players an enjoyable and memorable golf experience. Another unique feature is the installment of the full-color GPS system that will enhance your golf experience as well as give you accurate yardages to the pin. The system also provides a video introduction by Mr. Nicklaus on each hole along with an animated fly-over of the hole design. 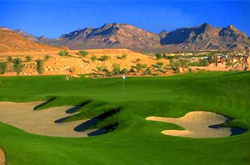 Bear's Best Las Vegas is located approximately 10 miles West of the Las Vegas Strip.